Koh Tao Loft Hostel has both AC & Fan cooled non smoking accomodations with designated smoking area. Each of KTLH's 29 private beds has its own light & power outlet. There is an onsite bar, Tongue & Groove, which provides libations throughout the day/night. FREE wifi is provided for all of our guests. A multi-lingual staff is ready to answer any questions you might have & help with any of your travel related arrangements. 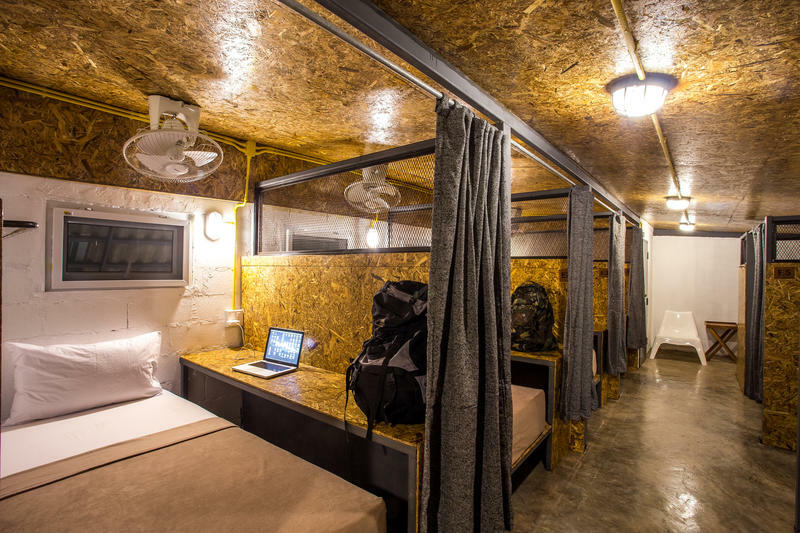 Koh Tao Loft Hostel is located conveniently on Koh Tao's main drag, everything a traveller might want can be found just outside our front door: restaurants, boutiques & stores, dive shops, beaches, taxi service, motorbike rentals, etc. Located conveniently just a short walk from Mae Haad pier (your entry point to Koh Tao)..simply walk up the road approximately 80 meters & the hostel will be on your right. KTLH is just across the street as you pass a 7/11convenience store on your left. You can't miss it.